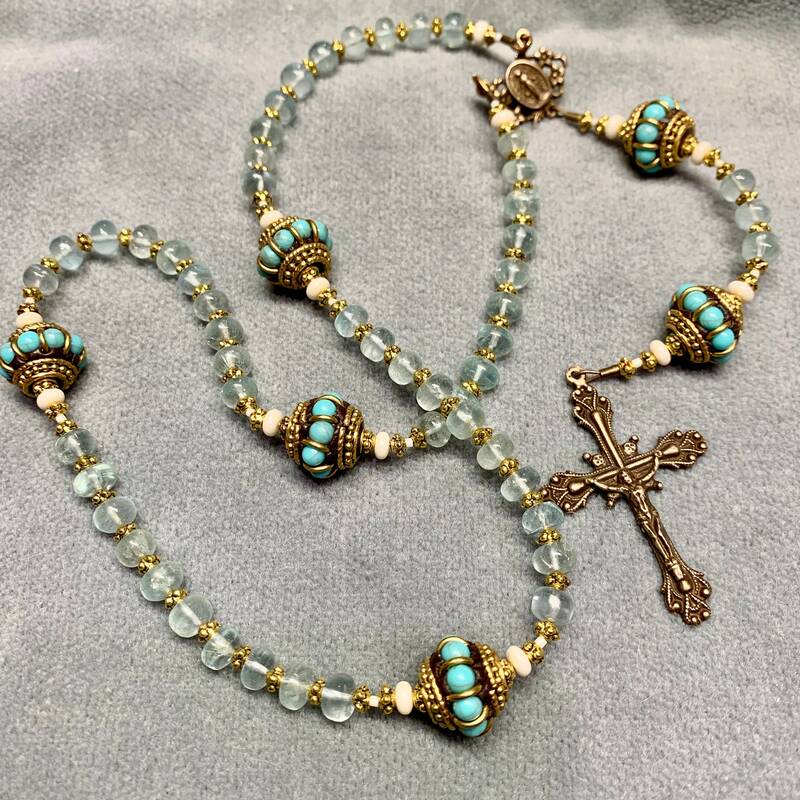 Gemmy Aquamarine rondelles perfectly colored that special blue, almost clear, with only a hint of fog make spectacular Hail Marys in this new Bronze Rosary, handmade in our tiny, 2-person workshop smack-dab in the middle of Ohio. We've added unusual Turquoise Paters, also handmade--but these are from Nepal. The Crucifix and Miraculous Medal center have been cast in solid Bronze from the antique originals, then lightly antiqued to the original patina. 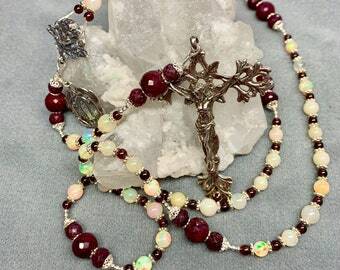 Gold-plated Bali style spacers and ivory German glass accent rondelles complete the glorious prayer beads Mother Mary gave us to meditate upon the life of her son and Our Salvation, Jesus Christ. 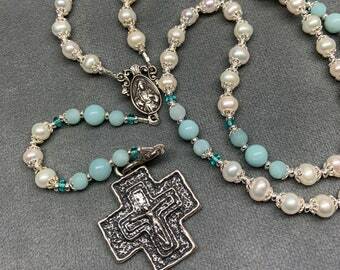 This Rosary has been strung on sturdy 49-strand, 40# steel cable and carefully crimped for durability. It is smooth and silky, and quite compact despite the larger Our Fathers. It is flexible and will continue to soften with use.